Set in 1,800 acres of National Trust parkland - you are never far from breathtaking views or country walks. This hotel is also perfect for families: with kids clubs, baby care kits (which include a complimentary baby-listening system) and a whole host of activities to keep your children entertained. 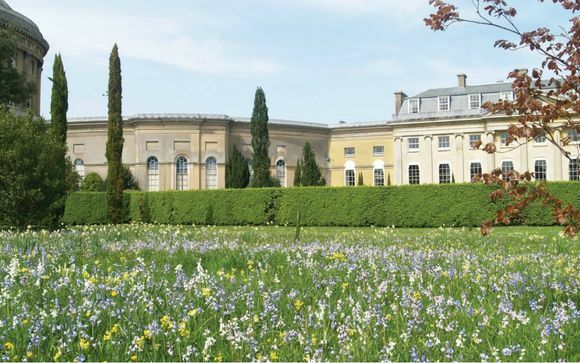 All in-house guests have a complimentary pass to enjoy the Ickworth National Trust. Stroll in one of England’s finest Italianate gardens and explore the intriguing Stumpery. See how one man’s passion led to the creation of this remarkable house and its renowned collection of treasures. Through the Ickworth Lives project, learn about the servants and workers who kept this country estate running and share their memories. Today, the East Wing of the house is a luxury family hotel, while the West Wing is a visitor centre, with facilities for conferences and events. Though the building been updated to provide modern comfort, the house retains its historic charm. In recent years, aided by a grant from the Heritage Lottery Fund, the Ickworth Lives project led to the restoration of the basements, providing visitors with a fascinating glimpse into life ‘below stairs’ in the 1930s. In keeping with the grandeur of Ickworth, each room is unique and comfortable, yet perfectly decked out to accommodate kids, dogs and couples. - Standard Room (max. 2 persons): This room is brimming with traditional elegance in keeping with the atmospheric fell of Ickworth House. - Small Family Double Room (max. 3 persons): As the name suggests, these rooms are perfect for smaller families with enough space for you to spread out. - Family Room ( max. 4 persons): With a range of traditional and contemporary rooms, these rooms offer views over the Italianate Gardens or beautiful Ickworth estate. - Family Room with no view (max. 4 persons): With the same space for a smaller price, these rooms are perfect for those who intend to spend more time in nature than looking at it. - Large Family Room (max. 5 persons): Ensconce your family in a larger room where traditional style are complimented with contemporary twists. - Grand Tour (max. 4 persons): An impressive main house bedroom overlooking the Italianate Gardens, Grand Tour is decorated in period style; including a vast 8ft bed. - Family Suite (max. 5 persons): Looking out from the front of the house, our family suite contains a double room for parents and separate twin room for children. - Lodge Double (max. 3 persons): Sumptuously stylish, these ground floor double rooms provide wonderful views of the rose garden from full-length feature windows. - Lodge Family Double (max. 4 persons): On the ground floor of The Lodge at Ickworth, these large double rooms are perfect for both couples and families. - Lodge Hornbeam Room (max. 4 persons): Located on the second floor of The Lodge, this attractive two-bedroom suite looks out over the private garden and parkland. - Two Bedroom Apartment (max. 6 persons): Enjoy the traditional luxury of these self-contained two-bedroom apartments in the picturesque setting of The Lodge. - Lodge Two Bedroom Suite (max. 6 persons): With lots of space for larger families, these two-bedroom suites include a master bedroom and twin or bunk beds for children. - Lodge Three Bedroom Apartment (max. 8 persons): Enjoy maximum space and freedom with your own private three-bedroom apartment in The Lodge. - Butler's Quarters (max. 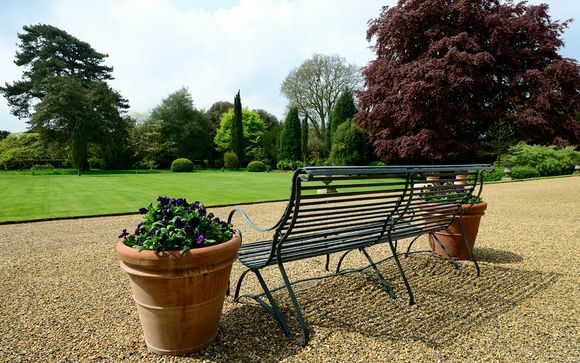 8 persons): Enjoy all the facilities of The Ickworth from your very own residence on the estate. Just a short walk from the hotel, the Butler’s Quarters include a private walled garden, living area including kitchen. From big breakfasts and leisurely lunches to family dinners and adult dining, The Ickworth offer flexible eating options. Tuck into antipasto platters, steaks and classic seafood in the Conservatory, while the kids devour Dingley Dell chipolatas or ‘hidden vegetable’ lasagne. 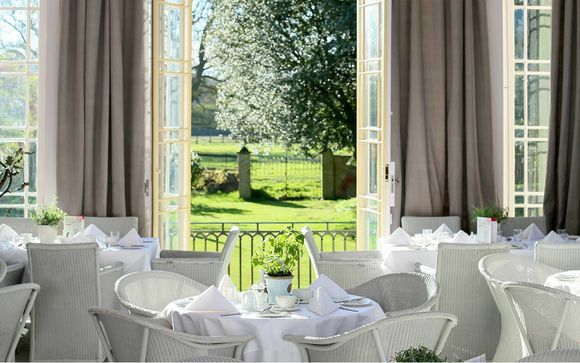 Or put the children to bed (switch on the baby-listening system or the hotel can organise a baby-sitter) and enjoy a sophisticated, adult-only dinner in Fredrick’s restaurant, overlooking the Italianate gardens. 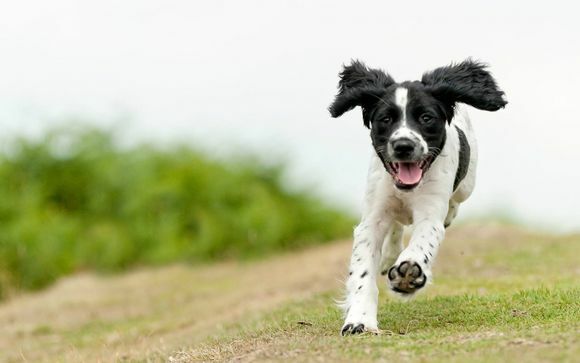 The Ickworth estate is perfect for child and dog-friendly holidays. Strike out into the woodland and parkland on foot or take one of the bikes for a spin around the way-marked trails. Without even stepping foot beyond the Ickworth estate there are enchanting gardens, the intriguing stumpery, a children’s playground, lakes, a farm, and deer-studded parkland to roam. Your hotel is approximately 15min / 4.5miles from Bury St Edmunds train station. This hotel features ample free parking onsite.